The arena of modern technology has undergone severe changes with the invention of Android. With touch screen devices, tablets and smartphones becoming a part of our daily life, Android development has gained much popularity across the globe. It is the most wanted platform and every company is keen to hire Android developers to create new applications for their business. It is a popular open source platform that helps to develop feature rich, scalable and robust applications and this offers a lucrative career to the developers. In order to be a skilled developer, one has to be trained in the programming language and should also have intense knowledge of Android development methodologies. This can only be possessed through Android development training from experts. 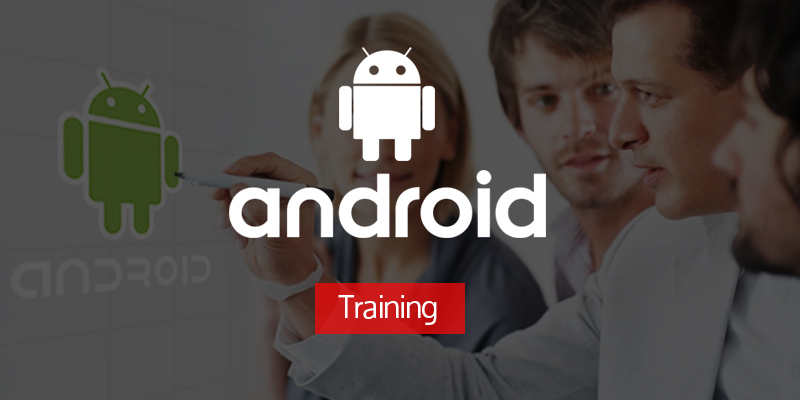 I have been working as an Android training consultant for the past many years and here are some benefits that IT students may gain by opting for the training course. Android developers are high in demand: With Google upgrading the Android platform regularly, the number of devices used in the market is also skyrocketing. This has increased the demand for skilled developers and it is expected that in the coming few years, the demand will increase in leaps and bounds. Companies will require skilled professionals to meet their demands. And developers who learn android programming will have great opportunities before them. Better pay package: As a very hot employment opportunity Android development will also offer good remuneration packages to the candidates having a certification. This is also another reason why developers having good knowledge in SQL, XML, .NET are today shifting their career towards Android development. A good pay package is what everyone looks for and Android is a good platform that offers a lucrative pay package even to fresher’s compared to other fields. Practical knowledge: Students joining the Android course will get practical knowledge of what it takes to create a mobile app and this will help them have a strong foundation that will also increase their chances of getting hired by employers. Most of the courses offer programs where the training institute also places the candidate in IT companies and opting for such a course enhances their skills and prepares them for the market needs. Create impressive apps for business: Building an Android based app requires very less investment compared to other development platforms. A certification will help to unleash the creative skills and help to innovate applications that may be of great benefit to the business. Various impressive solutions can be constructed using the platform and used over thousands of devices all over the world. Training will help to blend the creativity of the students with their technical skills. Thus to conclude, it can be said that a certification in Android development will help IT candidates gain an in-depth knowledge of the platform and help them to use their technical skills together with their creativity. Students who aspire to become efficient and successful programmers should take the advantage of joining the course and building a strong foundation in their career.